I was a bit surprised at how dark they took this set of episodes. I suppose we needed that in order to force some changes in our very immature hero, but the bleakness came so unexpectedly and with such harshness that I wasn't sure what to make of it. Luckily things lightened up in episode 4, and generally I'm still charmed by the series and willing to wait and see how things play out. In episode 3, we see our hero hit new lows, as he robs our heroine of her money and then proceeds to squander it over the period of a few days. His reckless actions were at least somewhat tempered by the obvious guilt he felt and his cute (but stupidly wasteful) attempts at redemption by taking out Choon Hee's younger sister. But the consequences do eventually come his way, and we get to see both he and Choon Hee end up beaten up while doing shady gigs at an entertainment club. I wouldn't be surprised if many viewers were completely turned off to our lead after all this, because cowardice and theft are hard moral pills to swallow. However, I personally remain open-minded and find it at least unique that we have a male lead who's so far from perfect. If they can pull off the redemption, then it’ll make for an interesting arc and fresh romantic premise. However, his foolish actions aren't even the biggest barrier to supporting our OTP. Nope, that would be second lead Jo Geun Woo, who's not only stepped into the Prince Charming role (he even gets to princess-catch her when she fell off the stage), but also shares pretty fantastic rapport and chemistry with Eun Ji's character. His 4-D nature just seems to be the perfect complement to her excessive bluntness. 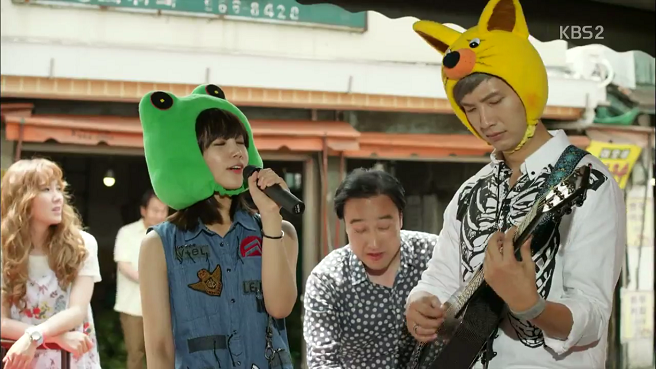 Seriously guys, I'm a huge fan of Ji Hyun Woo but even part of me melted during Geun Woo's cute-crazy scenes with her in episode 4. 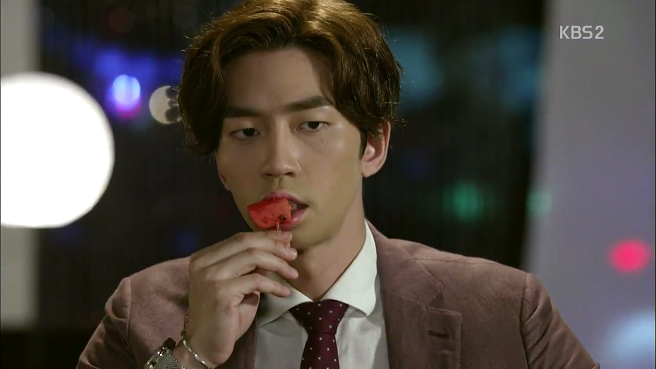 Shin Sung Rok has officially gone from annoying killer to steamy second-lead, and I admit to being just as invested in watching his feelings grow as with our leads. Second-lead lady is unfortunately (and not surprisingly) not at all interesting so far, though I am curious about her backstory and true thoughts on Joon Hyun. I don't find the idea of her and Geun Woo together at all appealing, and while it's fun to watch her desperately pining after him, I hope to not be subjected to any sort of second-leads coupling. 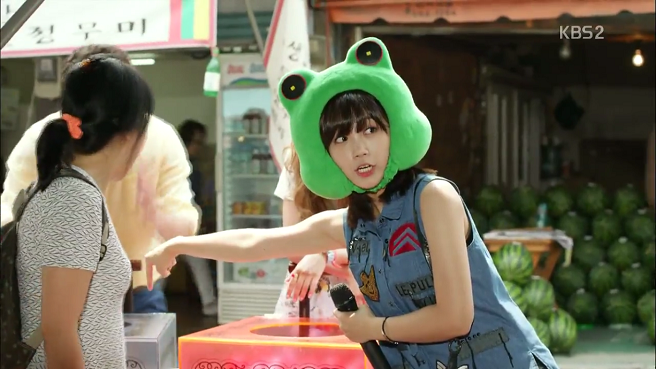 I also fully expect her to go the way of crazy second-lead ladies soon. Aside from that, the drama is following a fairly predictable path, in that we're starting to get the usual early-episode jealous glances and self-conscious hugs between the leads. However, I still don't find them convincing as a couple, and especially not after all the antagonism between them. It makes absolutely no sense for them to fall for each other, because they literally have nothing in common, and not even interesting conversation together. Again this might be a failure in the writing front, but I also don't think Eun Ji has much chemistry with Ji Hyun Woo, not compared to Shin Sung Rok. I will say that Eun Ji is pleasantly surprising me with her acting, which seems to have improved since her lauded 1997 days (I personally found her flat and repetitive in that drama). She's thoroughly convincing as the scrappy, desperate leading lady here, and is consequently building up my regard for her. Her character here is disappointingly similar to everything she's previously played, but there are moments when she has to stretch her range and she's able to rise accordingly. My hope is the our hero gets some moments to shine soon too, because so far his scenes have been alternately cheesy or character-destructive. 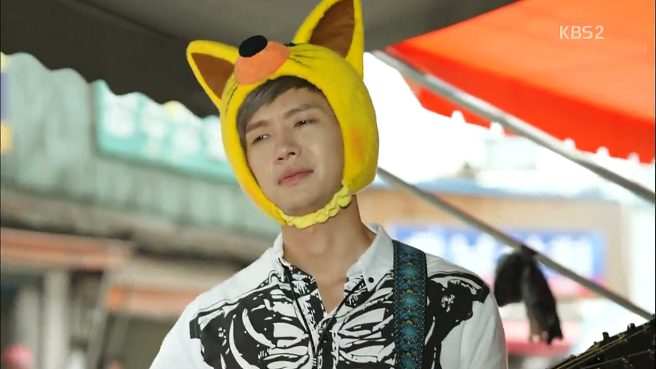 However, he is getting his moments, and so long as Ji Hyun Woo gets the opportunity to smile more, I'm sure the collective audience will be at his mercy. While Joon Hyun is still on the flippy immature side, he's growing up fast, and I hope to see some solid sparks flying between him and Choon Hee soon.